What better way to spend a week than on a Florida Gulf Coast road trip? I love to combine business and pleasure, that's a key principle here at Sidewalk Safari that my regular readers know. We also use a similar philosophy when planning family trips; building in some time to explore new places. I'm lucky because I have family in Naples, Florida, a lovely place to visit along the west coast of Florida on the Gulf of Mexico. We recently embarked on a Florida road trip from Naples to Tampa. Not only did we spend time with my family, but we encountered wildlife, creativity at its finest, and even had the chance to run off and join the circus. Read on for more about our one week Florida road trip itinerary. 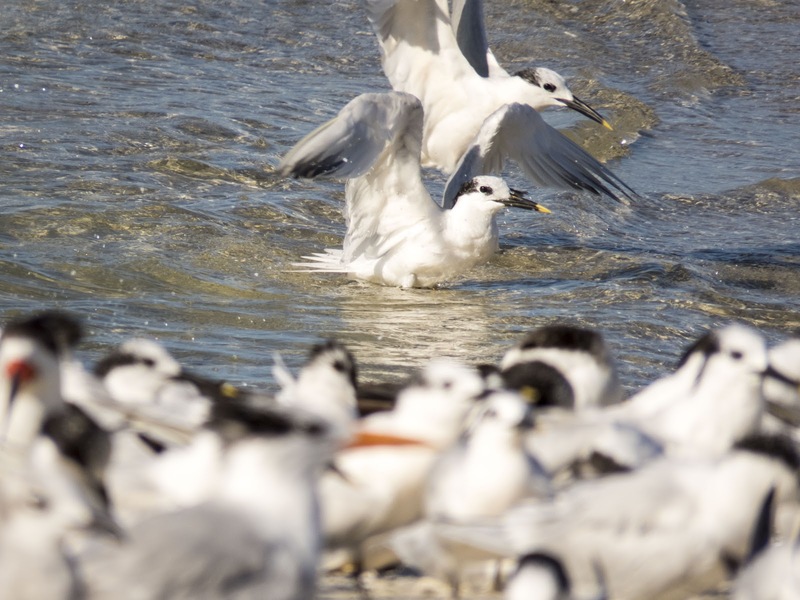 ...pelicans with impressive wingspans and hundreds of migrating seabirds including different species of terns. 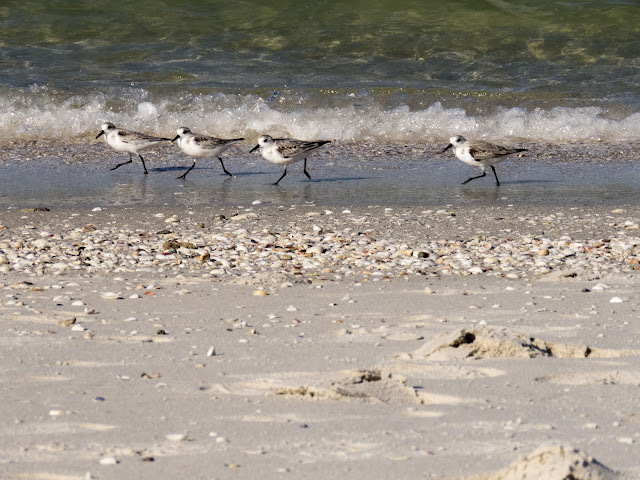 We enjoyed watching sandpipers darting in and out of the surf looking for their next meal. 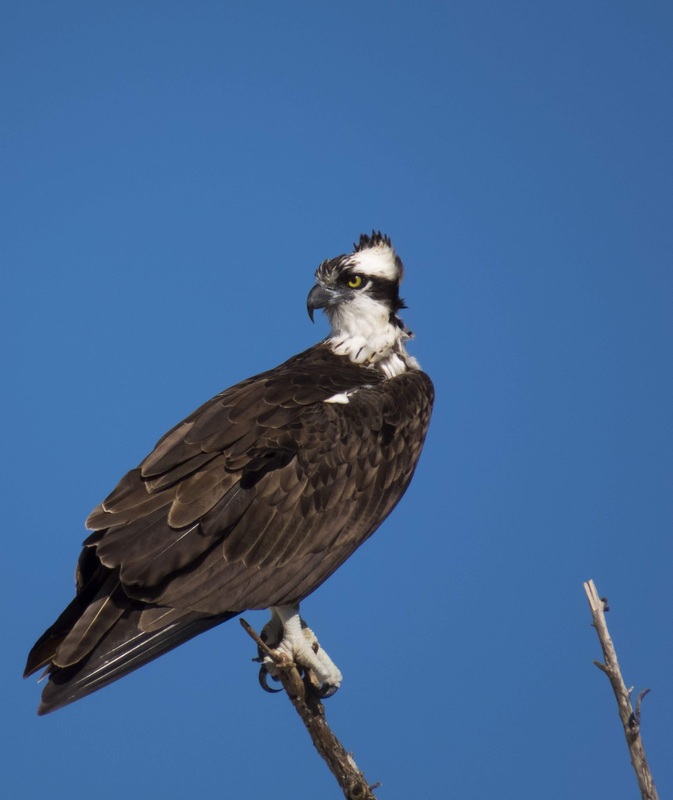 We also discovered that Pelican Bay is home to a significant number of pairs of nesting osprey. We were lucky to spot this fellow perched on a naked tree branch. Look at those talons! 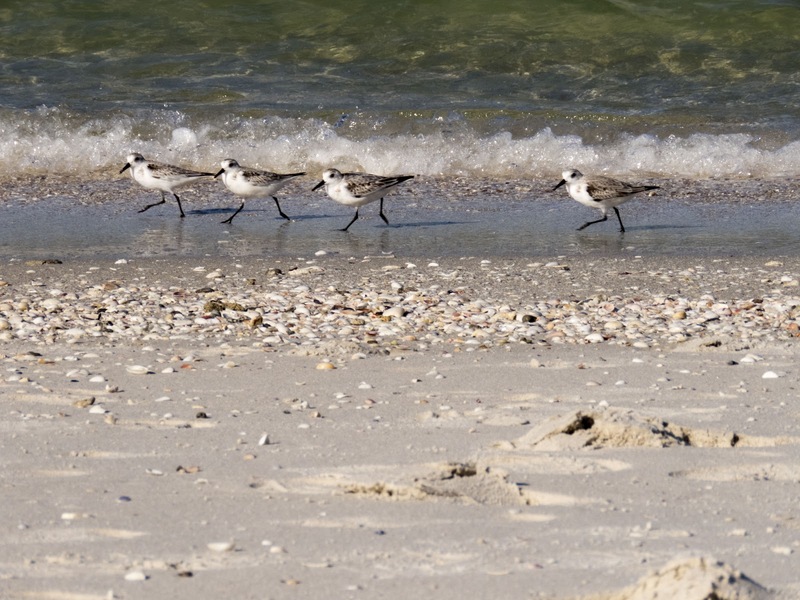 Pelican Bay is a private beach and boardwalk so you'll need to know someone (or rent a condo from someone for your vacation) in order to get to the beach and wildlife trails. Clam Pass Park is adjacent to Pelican Bay in Naples but is open to the public. We walked to the entrance to the boardwalk (to avoid the steep fee to park) and took a long stroll along the wooden structure. 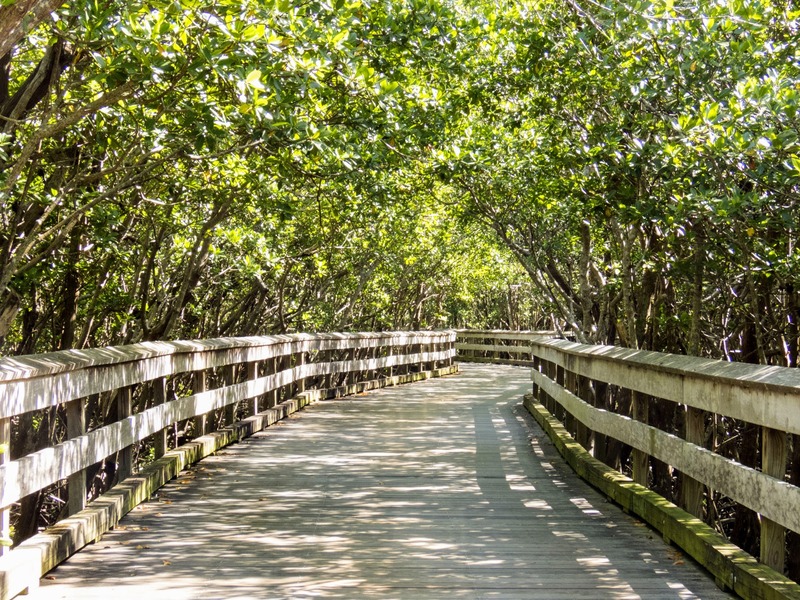 The mangroves formed a shady canopy over the path. 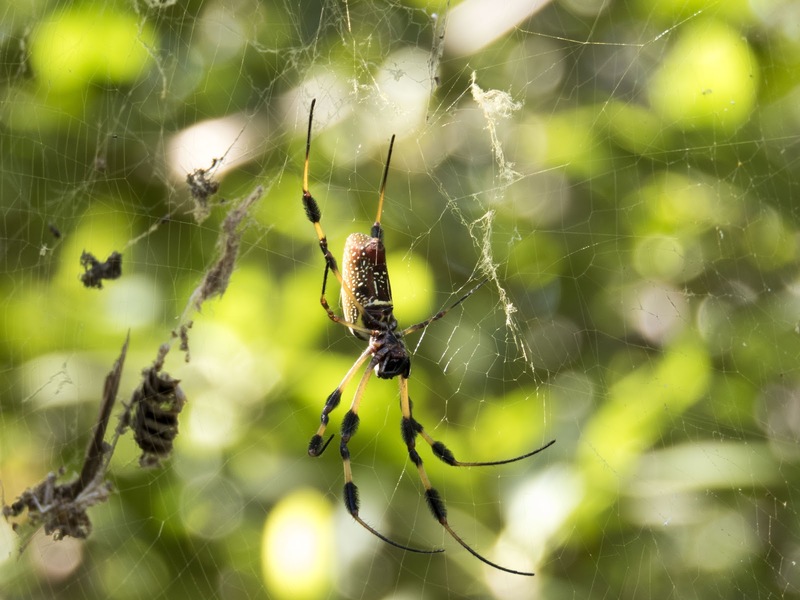 As we looked closer, we discovered a number of intimidating spiders who had taken up residence in the trees along the path. This fellow closing in on his next meal made my spine tingle. 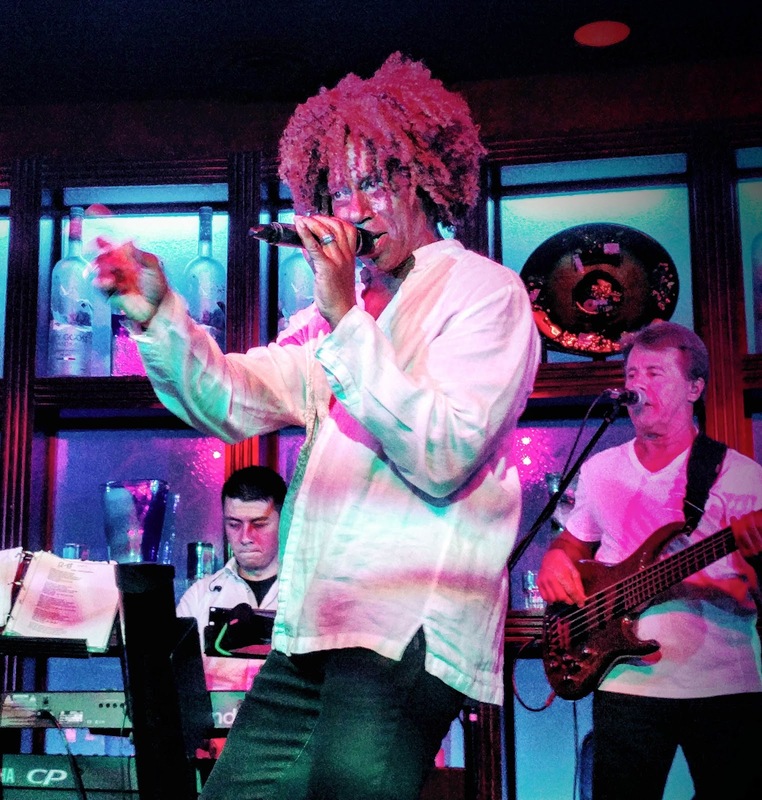 Naples isn't just about beaches and wildlife, it also boasts wild nightlife. 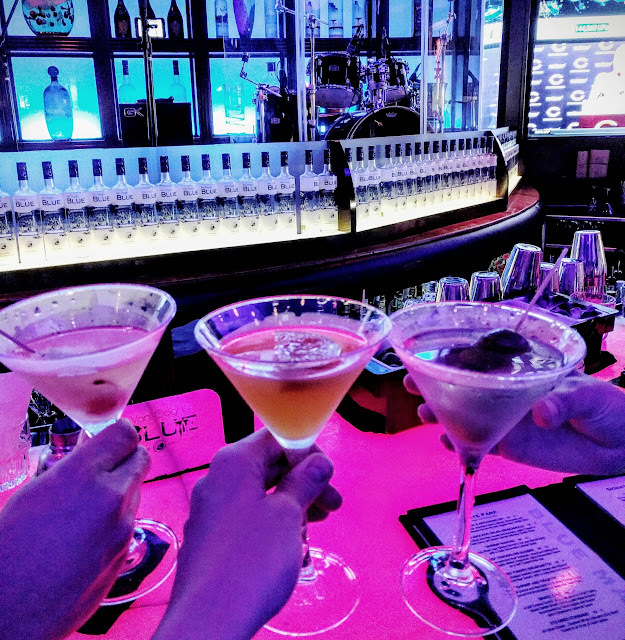 We visited the Blue Martini on a Tuesday for half-priced cocktails and a funky cover band. Naples is mostly a city of visitors and transplants so when the band asked "who's visiting from out of town?" and my father shouted "they're from Ireland! ", I wasn't surprised at all when two gents rocked up to introduce themselves: Oliver from Sligo, and Billy Belfast. Both had relocated to Florida's Gulf Coast many years ago. After a most excellent 3 days in Naples with family, we hopped in the car for the vacation portion of our roap trip. 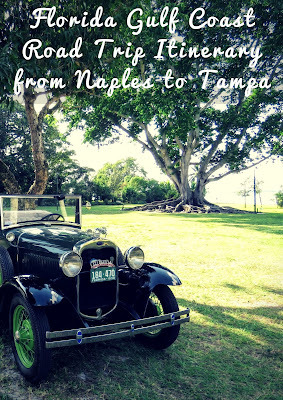 We were headed from Naples to Tampa before our return flight to Dublin and aimed to see as many Gulf Coast travel destinations as possible during our trip. Our time in Florida was short but fortunately for us, Florida packs a lot into every square mile between Naples and Tampa. We pulled into Lovers Key State Park not far from Fort Myers. The park was eerily quiet. We took a short, tentative walk in the midday heat along one of the marked trails. We were feeling somewhat 'meh' about the park when my husband touched my arm and pointed. 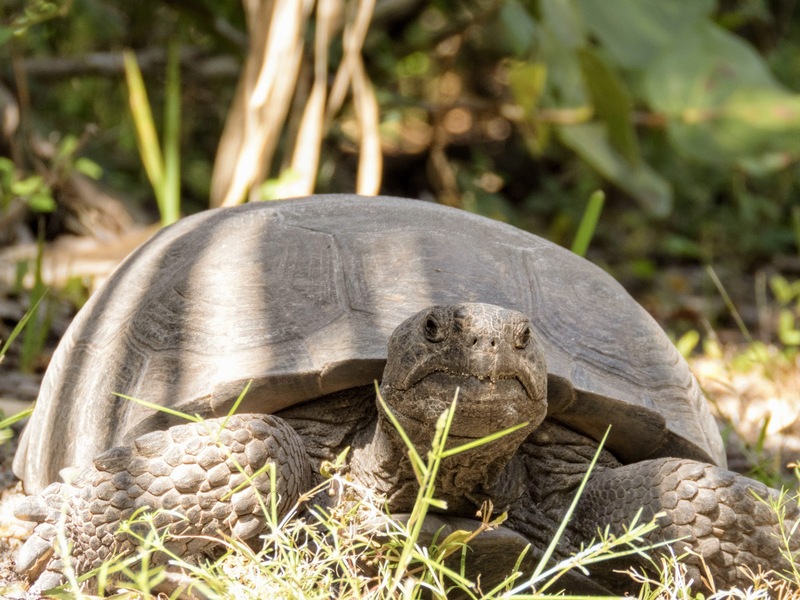 A gopher tortoise was sitting at the edge of the trail munching on grass. What a spectacular and unexpected wildlife encounter! 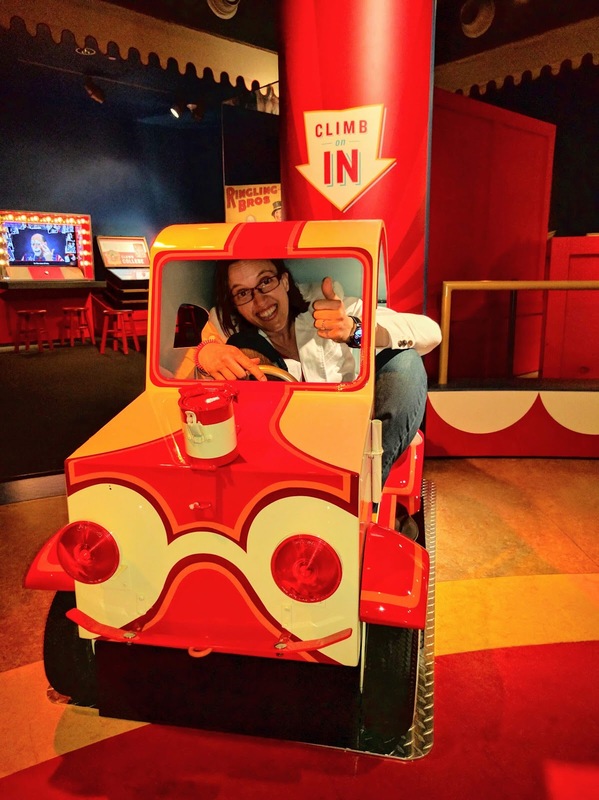 Our next stop allowed us to tap into Florida's spirit of invention and creativity. You could say that Thomas Edison and Henry Ford were snowbirds and escaped the cold of the north for the warmth and sun of the Edison and Ford Winter Estates. Highlights of our road trip stop at the Edison and Ford Winter Estates included a number of early model Fords. There is a museum on site that highlights Edison's prolific inventions across a wide range of scientific and engineering disciplines. We also got to see Edison's fully stocked lab with many original bottles of reagents and solvents perhaps labeled in Edison's own hand. 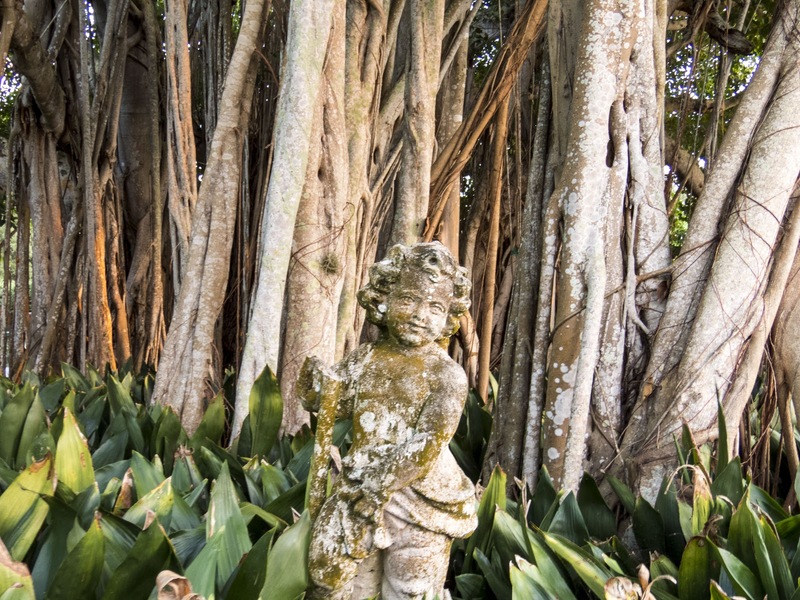 As an added bonus, the Edison and Ford Winter Estates sit right on the Gulf for lovely views. We arrived on Sanibel Island just before sunset and were given the keys to our room at the Island Inn. 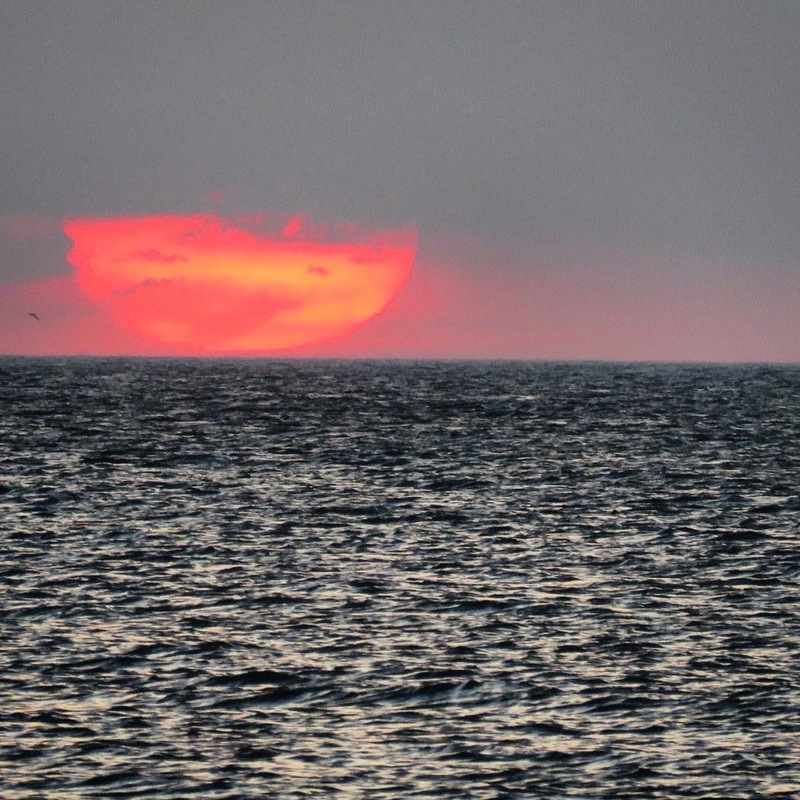 We were just a short walk from the beach so we walked along the sand as the sun sank lower in the sky. 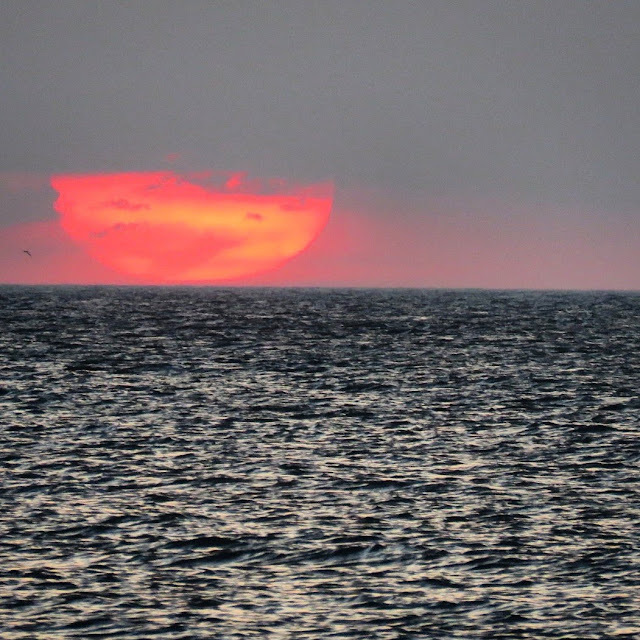 Florida Gulf Coast sunsets are always special but this particular sunset on Sanibel Island was especially memorable. 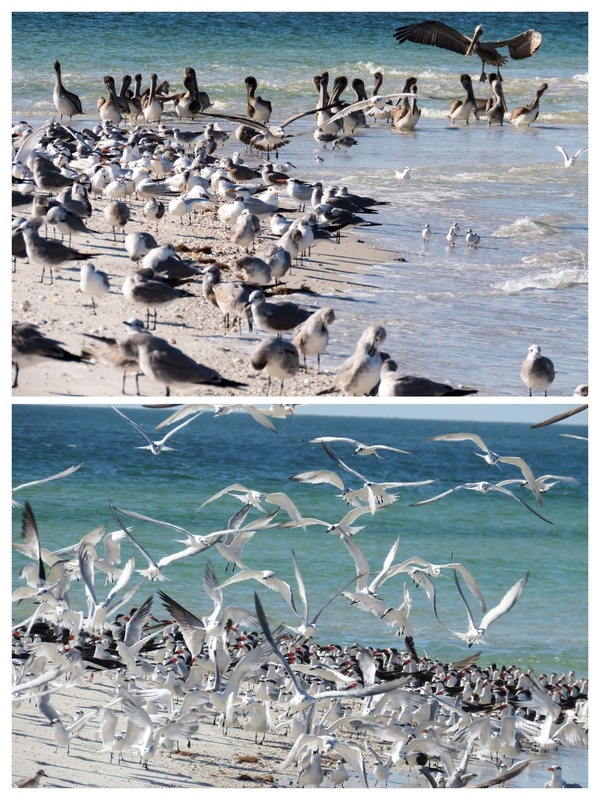 Our short Florida Gulf Coast road trip was off to a great start. 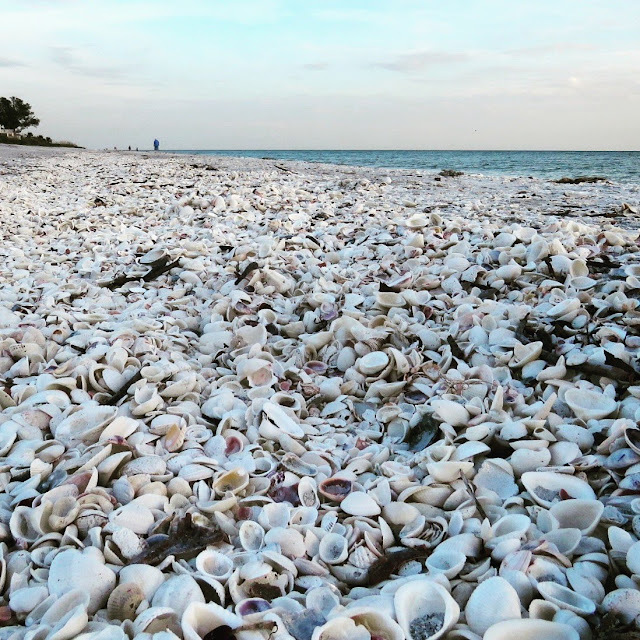 Sanibel Island is known for a prolific number of shells on the beach. We awoke early the next day to catch a guided shell walk that departs from the Island Inn each morning and is run by the curators at the Baily-Matthews National Shell Museum nearby. Our guide, a bonafide marine biologist showed us different types of shells and some unique variants. For example, if you see a perfectly round hole in a shell, that's a mark of predation. Squiggly indentations, on the other hand, are indicative of a symbiotic relationship. It was all very fascinating. The shell walk was free to guests at the Island Inn. The shells on Sanibel Island were fascinating but I have to say that the frolicking dolphins were even more so. While we were on our shell walk, a pod of dolphins including some playful juveniles made an appearance close to shore and really stole the show. 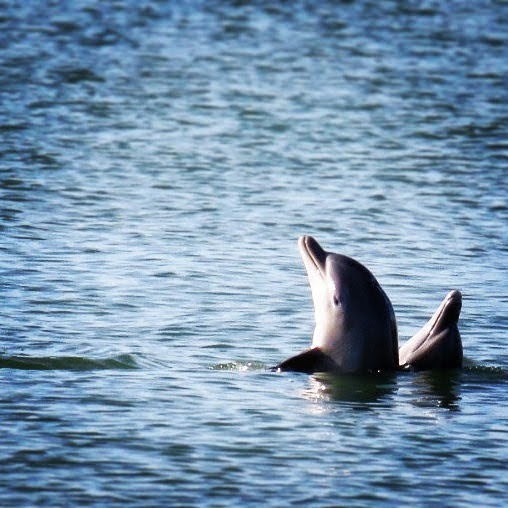 We spent about 30 minutes watching the dolphins splash about. Their playful behavior really put us in a good mood for the day. A large chunk of Sanibel Island serves as a protected wildlife habitat. We drove to the J.N. "Ding" Darling National Wildlife Refuge during our visit to Sanibel. If you pay $5 USD, you can drive the one way loop road through the refuge pulling over when it takes your fancy to look for interesting birds and wildlife. We spotted a yellow-crowned night heron with a kill. I also spotted this juvenile yellow-crowned night heron crossing the road in the distance. The terrain ranged from open pools of water to tightly knitted mangrove swamps. We had a great time exploring and birdwatching along the way. Our next Gulf Coast travel destination was Sarasota which is known for fine beaches and lots of Art Deco architecture. We enjoyed spotting the stepped towers, speed lines, and neon signs that are the hallmark of the Art Deco style as we strolled around town. We also learned that Sarasota has a creative and whimsical side. 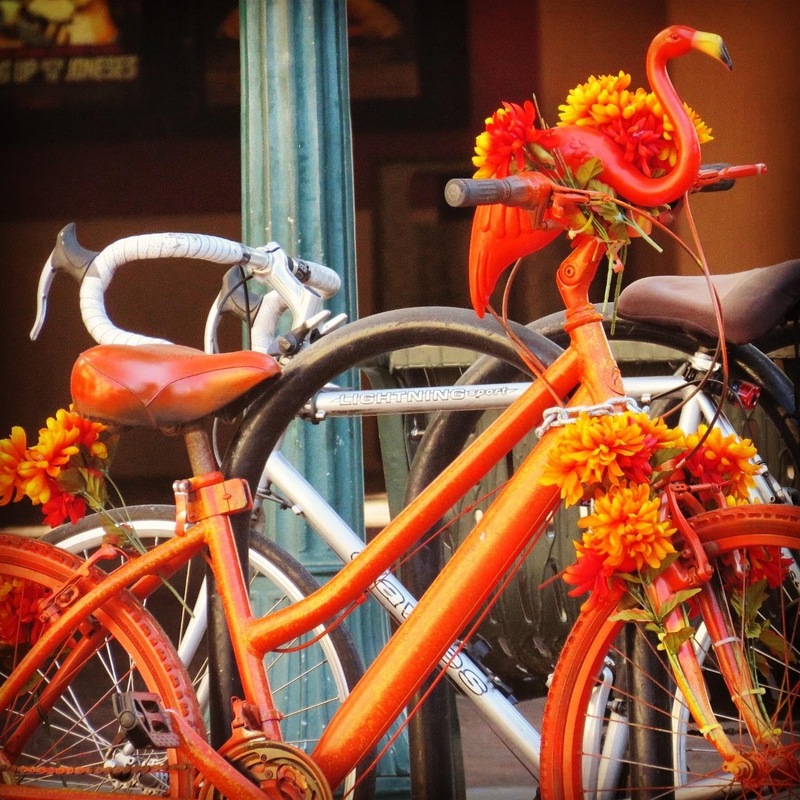 We saw at least three bicycles decorated with different colored plastic flamingos. So much awesome! 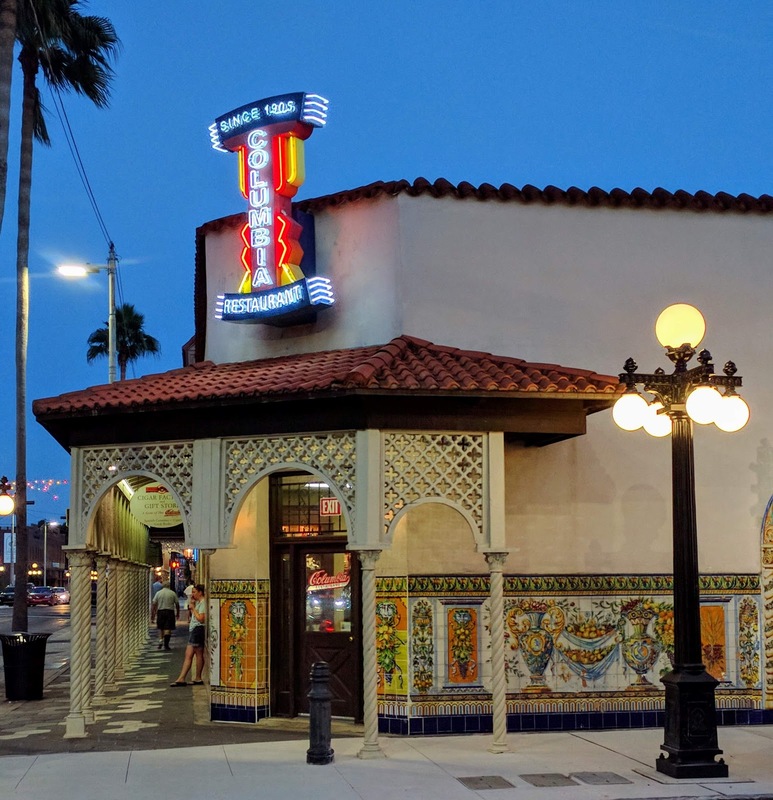 Arguably, Sarasota's best attractions are situated further away from downtown and are a perfect addition to a Florida Gulf Coast road trip. We drove out to the Ringling Bros. Museum and Ca' d'Zan, the Ringling Brothers winter estate. 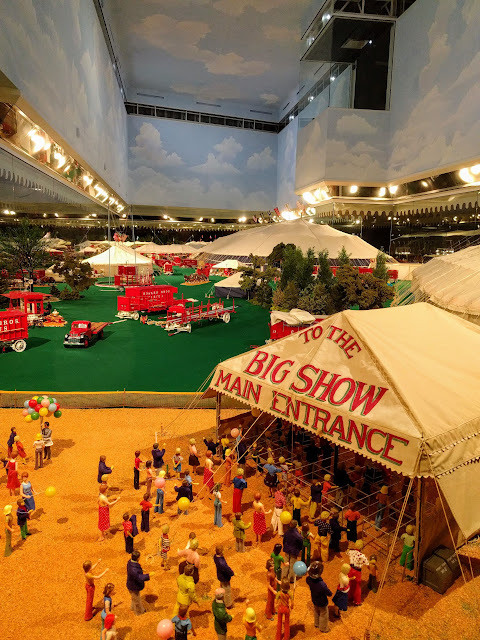 In the decades of the traveling circus, the show would ride the rails bringing joy and wonder to children of all ages during the warmer months. What do you do with hundreds of rail cars worth of performers, gear, and show animals in the wintertime? Apparently, you take the whole thing to Sarasota, Florida to ride out the winter. The Ringling Museum featured various train cars and gear to get a sense of the scale of the operation. 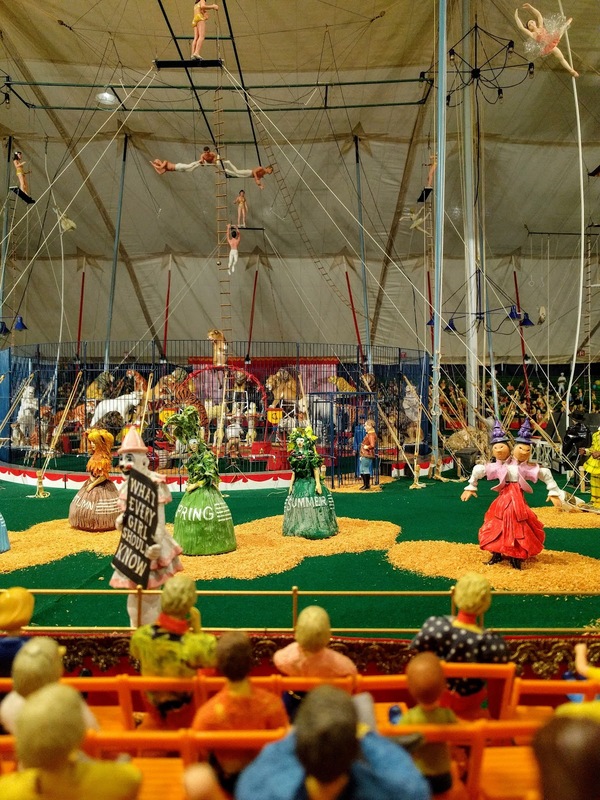 It also showcased a number of jaw dropping and death defying feats that were a regular part of the circus. While not really death-defying, I did manage to squeeze myself into a miniature clown car. 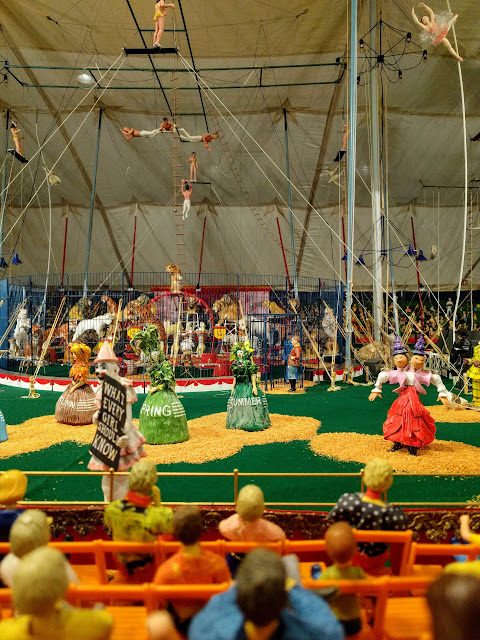 Another highlight of the Ringling Museum was the intricate mini-circus diorama. This miniature masterpiece took up an entire floor of the museum and was historically accurate down to the tiniest detail. We also strolled around the outside of Ca' d'Zan itself which sits right along the Gulf of Mexico. 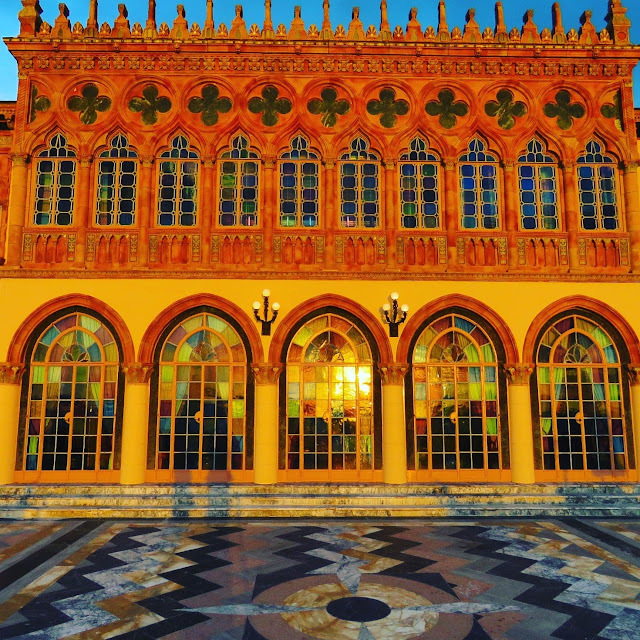 The Moorish-inspired building simply lights up during the golden hour when the sun starts to set. 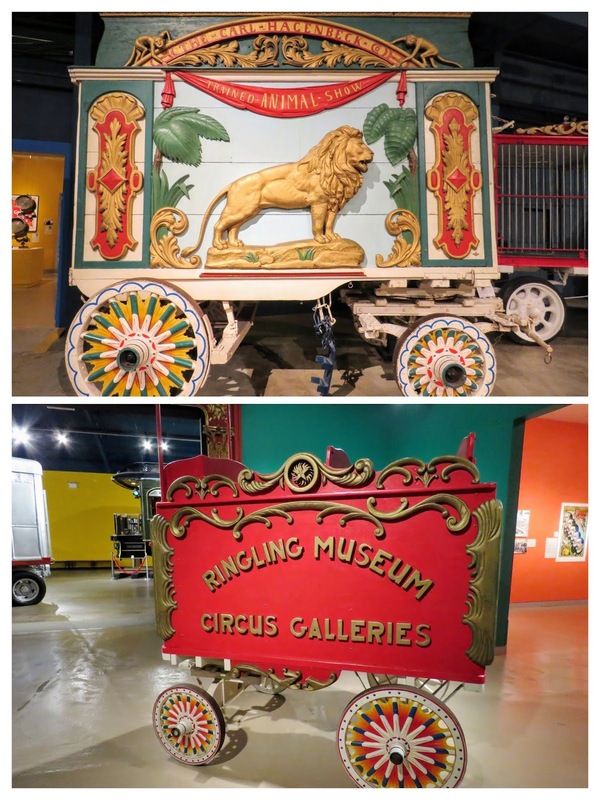 It's amazing to think of the wealth that the circus generated for the Ringling Brothers and their entourage. The grounds of Ca' d'Zan also feature dozens of classical sculptures that look lovely against a backdrop of enormous banyan trees. Also on the grounds, the The John and Mable Ringling Museum of Art features world-class artists and often hosts musical performances in the grand courtyard. Also on the outskirts of Sarasota, St. Armand's Circle features high end shops and eateries. 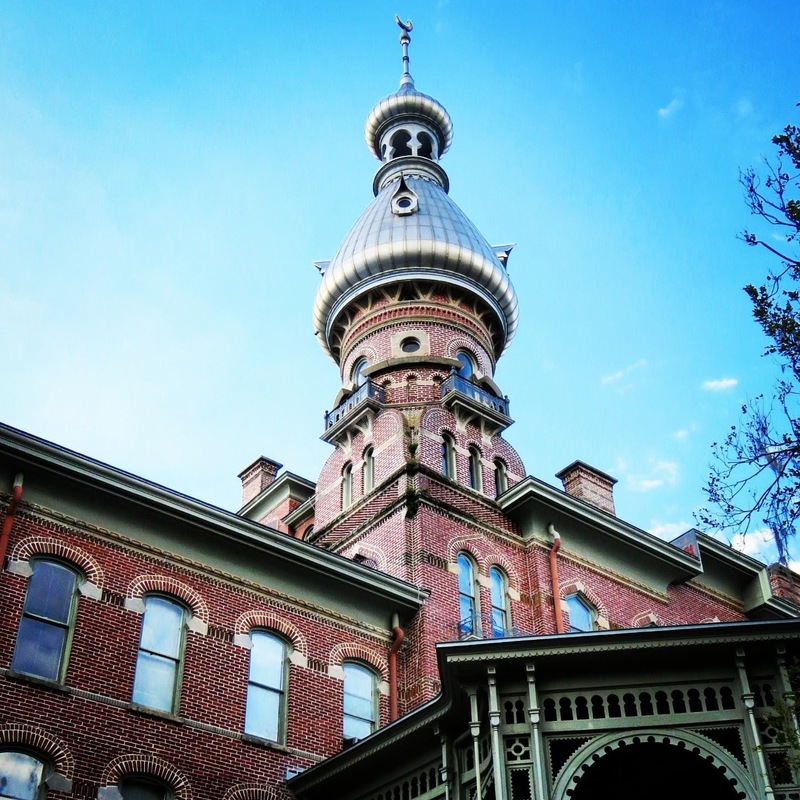 Planned and built by John Ringling, St. Armand's is worth a stop before leaving Sarasota to continue the road trip, especially to try the chocolate covered bacon at the Fudge Factory of St. Armand's. Moving on from Sarasota, we continued our Florida Gulf Coast road trip to St. Petersburg. 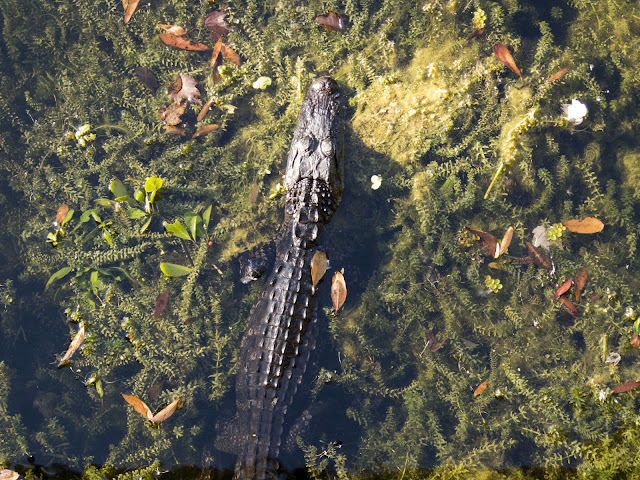 St. Petersburg has a big city feel but also captures the spirit of wild Florida within its borders. 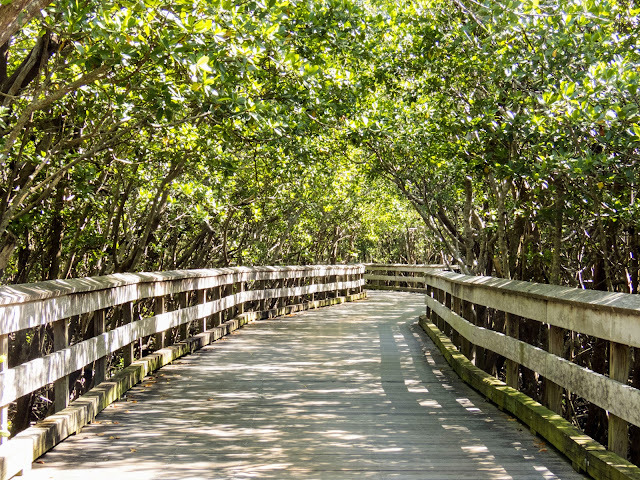 We stopped at the Weedon Island Preserve and perused the boardwalk trails. The most startling thing we saw was the skeleton of a small mammal, picked entirely clean! I'm guessing the victim was a raccoon based on other telltale signs that we saw nearby. I'm morbidly curious about how it met its end. Weedon Island Preserve is similar to other areas of natural preservation and conservation in Florida. We didn't spot a ton of wildlife or birds but it was still a lovely spot for a simultaneously relaxing and spine-tingling walk. We also visited Sawgrass Lake Park in the heart of a residential neighborhood in St. Petersburg. 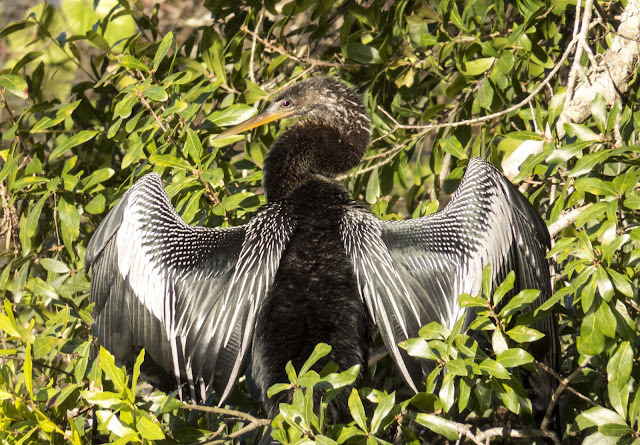 We visited early which could very well be the reason we saw all sorts of cool wildlife on our visit: from an anhinga with wings spread wide to an alligator lurking just below the boardwalk. 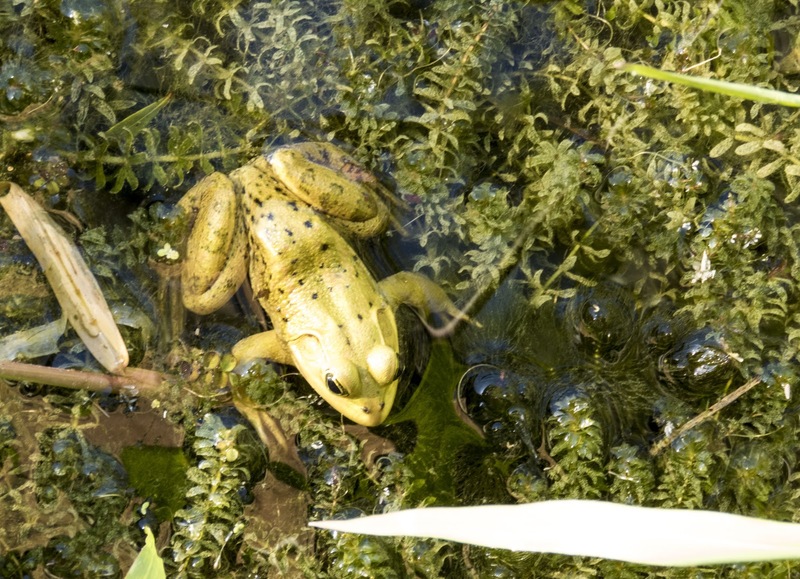 We even spotted an enormous frog. The boardwalk trails through the mangroves were well-shaded and this was truly a great spot for a bit of exercise. 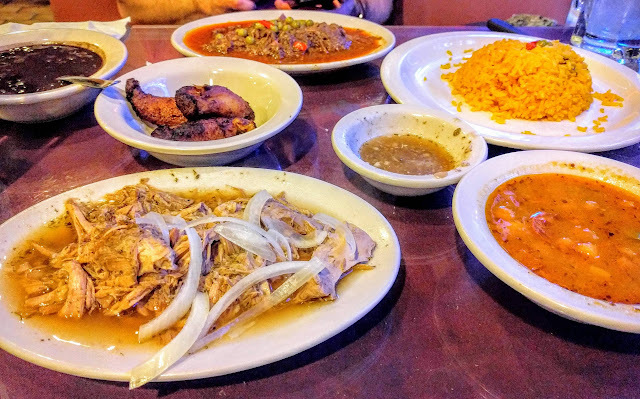 No Florida road trip itinerary is complete without a stop for Cuban food! We got our fill at La Teresita in Pinellas Park just outside of St. Pete. 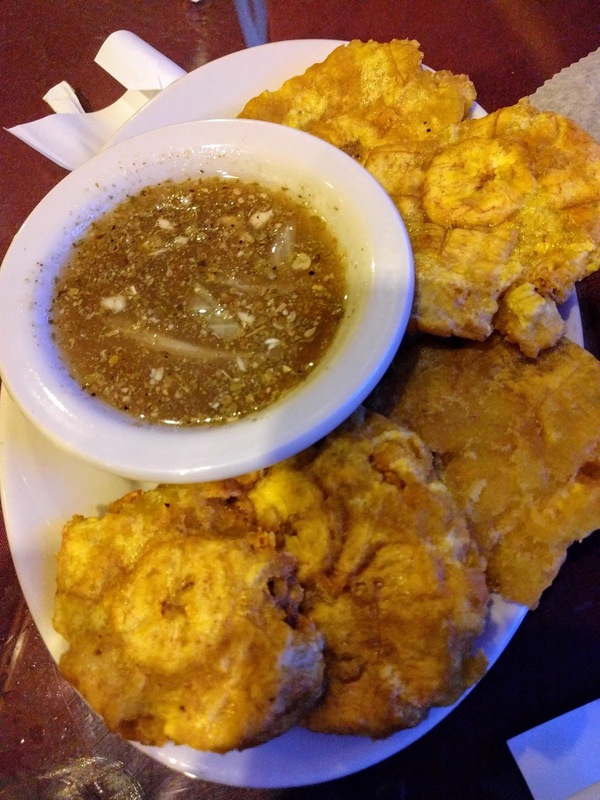 The savory plantains (tostones) with mojo sauce were simply outstanding. We parked our car in a local garage and set out to explore downtown St. Petersburg for a day. All the action is along Central Avenue. 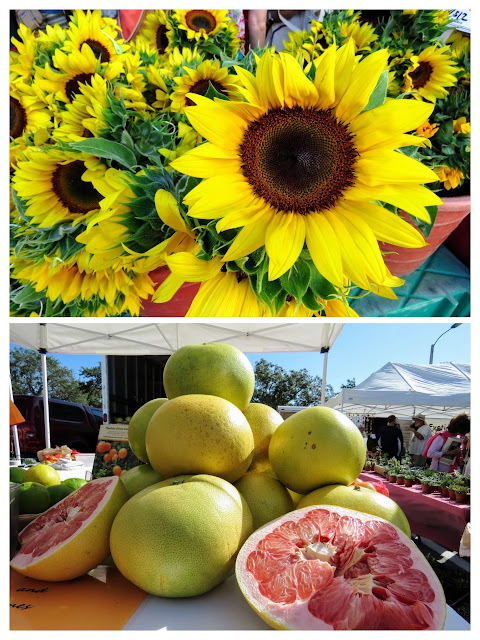 We started our exploration at the St. Petersburg Farmers' Market featuring juicy produce, colorful flowers, local musicians, and plenty to eat. The St. Petersburg Farmers' Market takes place every Saturday morning downtown. St. Petersburg is a city committed to craft beer and there are a number of breweries along Central Ave. We sampled a fine dry cider (Abricot) and Beemo Saison at Green Bench. 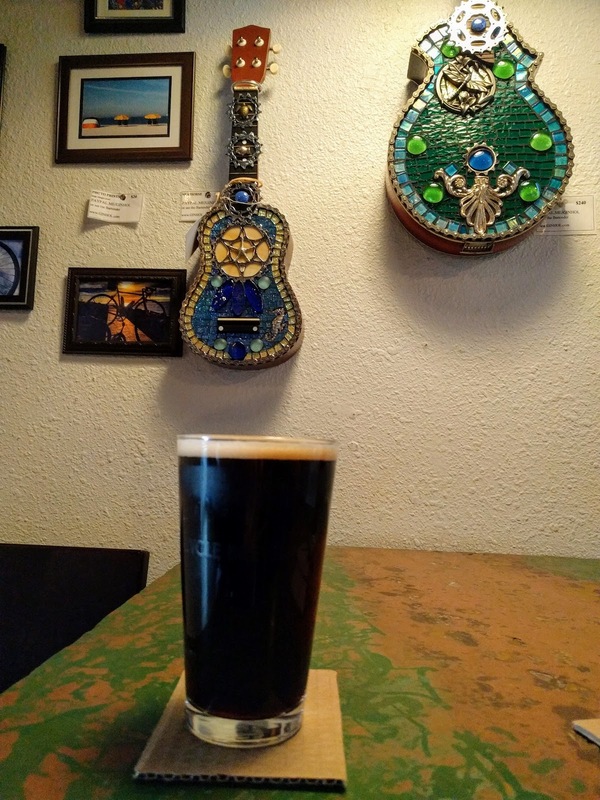 We followed that up with a pitstop at Cycle Brewing for a heavier Hazelnut Cream and Sugar, Please stout. Sipping this beer felt like drinking an iced hazelnut coffee. Very creative. We happened to be in St. Petersburg for Folkfest St. Pete and joined other locals sitting in the sun and enjoying local bands. 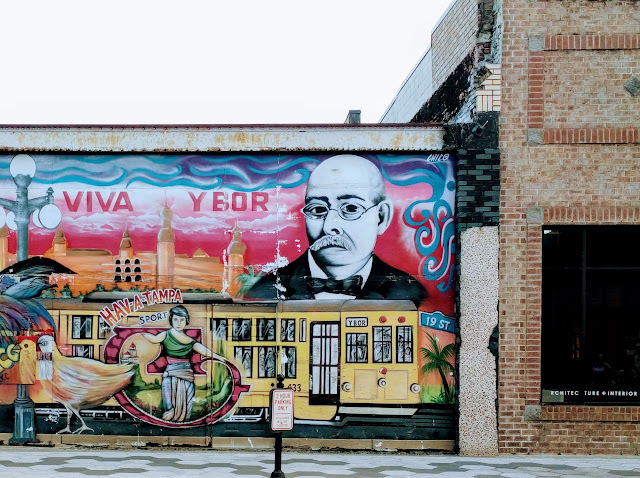 Downtown St. Petersburg also showcased some of the best street art that we saw anywhere on our Gulf Coast road trip between Naples and Tampa. I especially love this scene of a hostile alien invasion of St. Pete! The true test of a city is how well it does coffee. 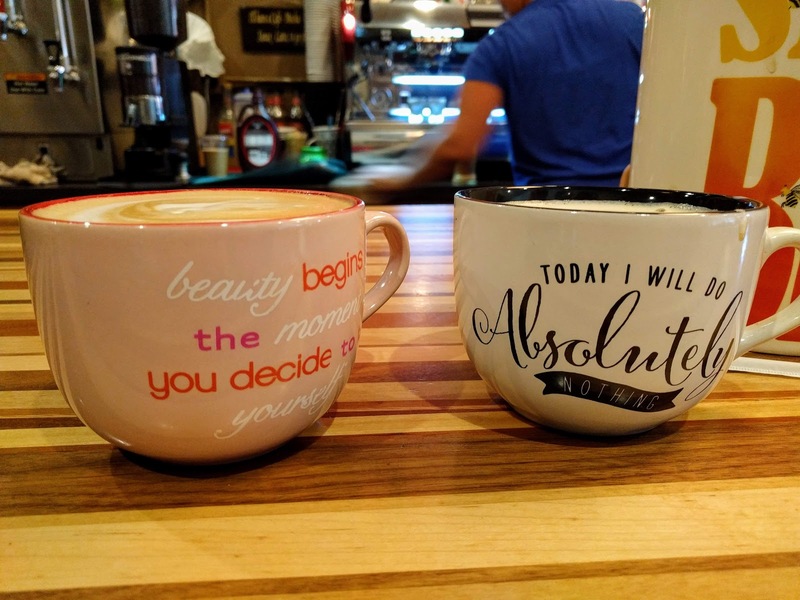 Brew D. Licious in St. Pete served a fine cuppa in huge statement mugs. The espresso drinks were served from high end beans. 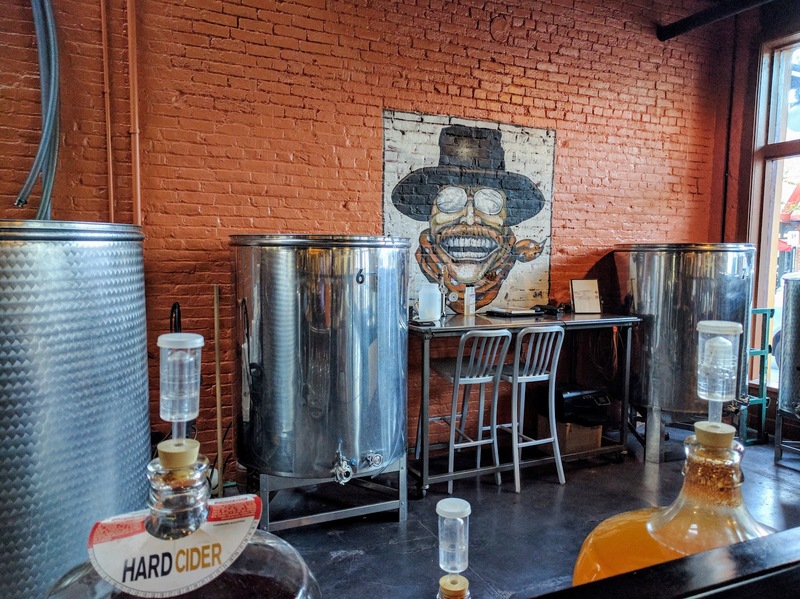 Brew D. Licious is definitely worth a stop to rest and recharge on a visit to St, Petersburg before hopping back in the car to drive to Tampa. Driving across the bay to Tampa from St. Petersburg, our next stop was the Henry B. Plant Museum. It's no secret that we love to travel and the Henry B. 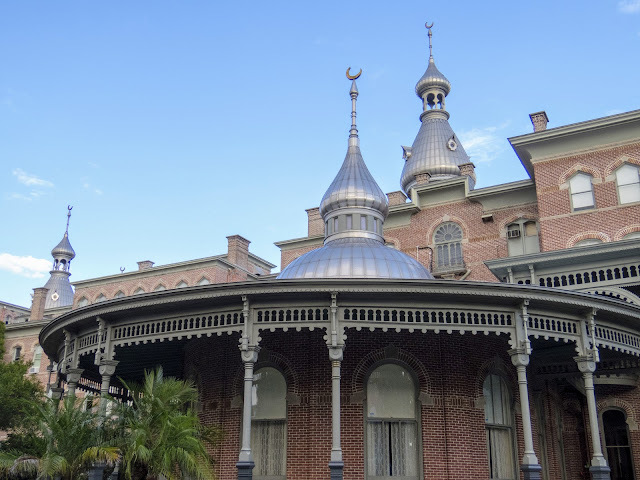 Plant Museum is a homage to early Florida tourism. Now part of the University of Tampa, the museum and university administration is located inside what was once the first tourist hotel in Florida. 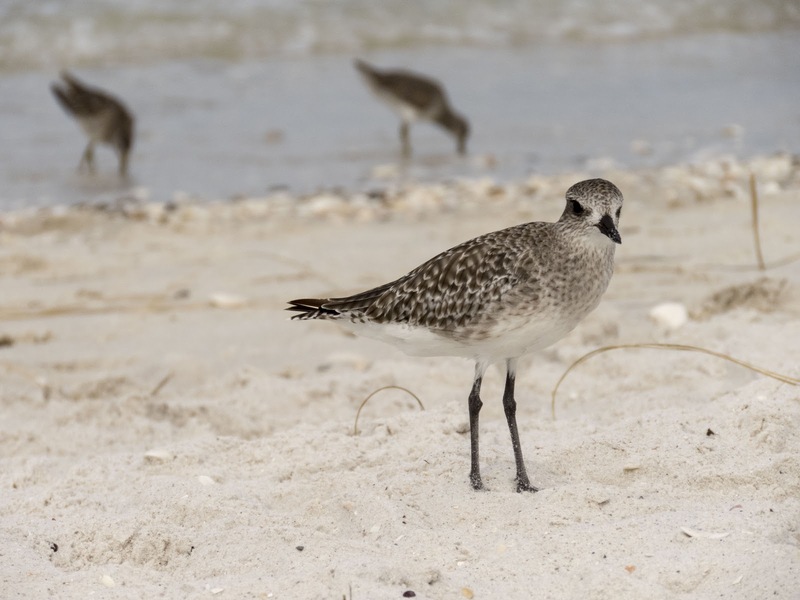 Situated at the end of the rail line, Plant was responsible for bringing the first snowbirds to Florida. It's fascinating history. We spent the last evening of our Florida Gulf Coast road trip exploring Tampa's Ybor City neighborhood. 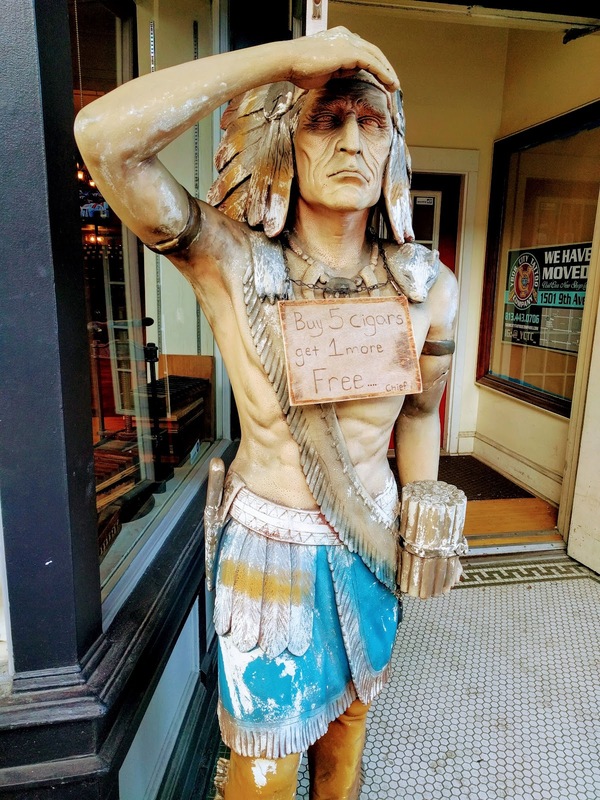 Formerly known for producing fine cigars, this is still the neighborhood to go to for a smoke if that's your thing. For us, we were more interested in the boxy architecture, shops, bars, and restaurants. We sampled Spanish/Cuban fusion cuisine at Columbia, Florida's oldest restaurant. 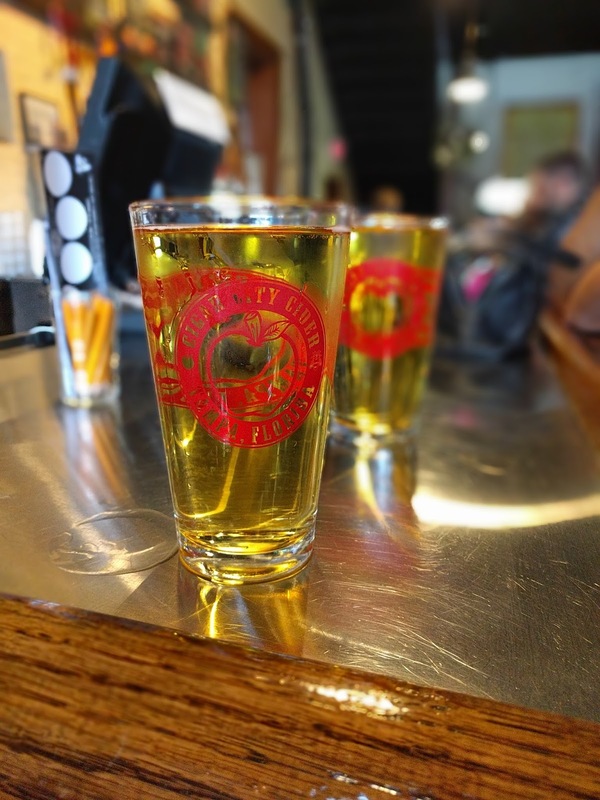 Our favorite stop of the night was, hands down, Cigar City Cider and Mead. We toasted the end of our Florida Gulf Coast road trip with a Wise Prick and Ginger Kid's craft cider. 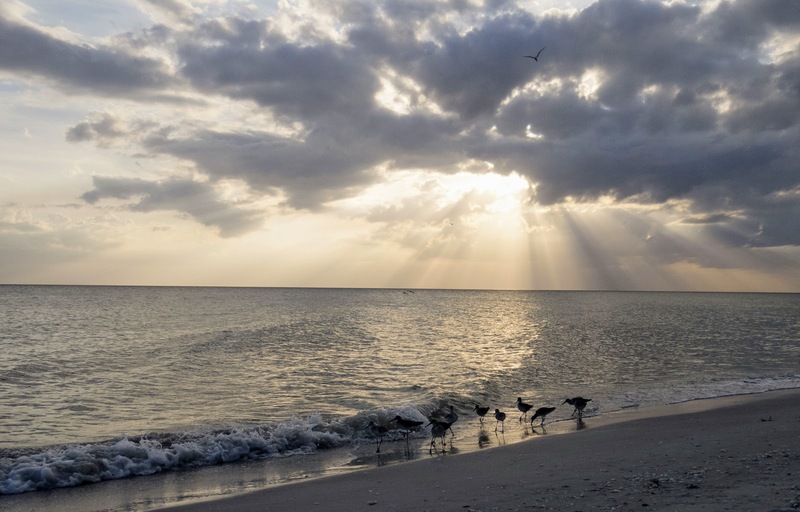 We were pleased to discover that there are plenty of Florida Gulf Coast travel destinations between Naples and Tampa to keep visitors busy for at least a week. Check out the map below for a recap of the ground we covered and some of the highlights of our one week Florida road trip itinerary. 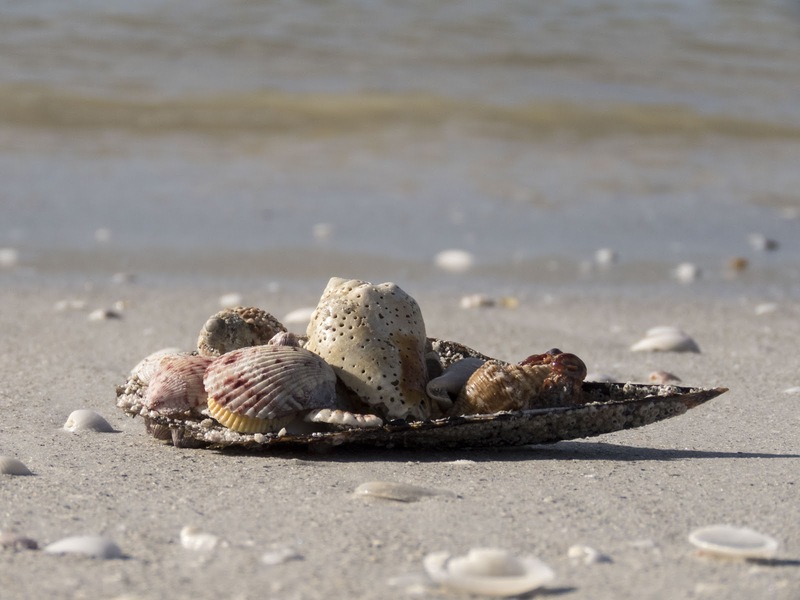 What Florida Gulf Coast travel destinations do you recommend including on a road trip between Naples and Tampa? If you have more time, I recommend adding in a day trip from Naples to see manatees in the Florida Everglades or starting your trip in Miami and spending a day in the Miami South Beach Art Deco Historic District. Find out about things to do on a Florida Gulf Coast road trip between Naples and Tampa. 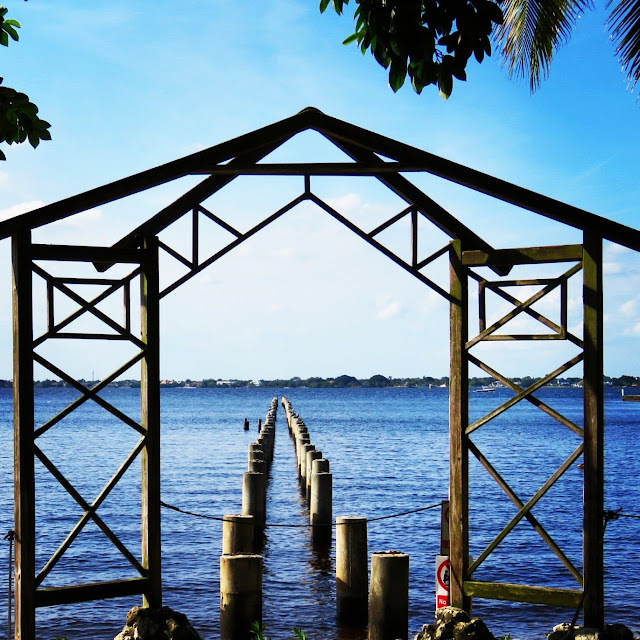 Explore Gulf Coast travel destinations on a one week Florida road trip itinerary.